* Dimensions H 4.5" x W 2.6" x D 1.5"
Any radio purchased from DELCOM INDUSTRIES includes programming on your frequencies and private line tones, at NO EXTRA CHARGE and reprogramming at a later date, for the life of the radio, Free, you only pay shipping! THAT DELCOM's service after the sale! I also reprogram your old models for $15 per radio plus shipping. 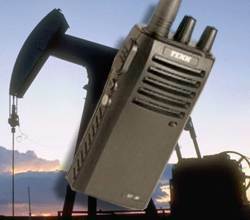 FREE SHIPPING on orders of ten radios or more (continental USA).